Being adventurous is nice but doing things which you know would kill you is just something stupid. Some people think that they can get away from even the most dangerous things in life, but when reality hits them sadly it’s too late to back out. 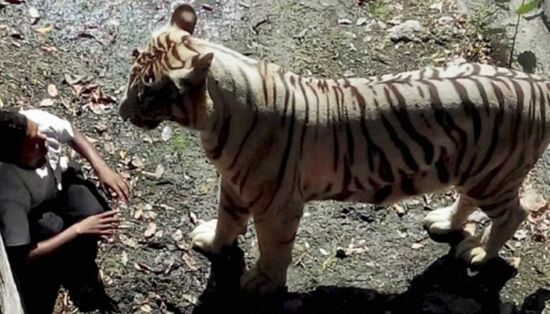 This picture is from a zoo in India where a man wanted to have a closer look at the tiger, escaping the guards he jumped over the fence and landed right in front of the wild animal. It may have only taken a while until the tiger attacked him and he died right there on the spot.